Canada is a world-class destination known for vibrant cultures, traditions and natural attractions. Every year, thousands of individuals flock to this nation to enjoy its high standard of living and wide-range of employment and career prospects. It is one among other developed nations that have low crime rate and high economy. Individuals willing to start their new life in an overseas nation can migrate to Canada to obtain amazing social benefits offered by this nation. Citizenship and Immigration Canada has recently launched a new immigration program called Express Entry, an advanced version of an expression of interest for skilled workers who possess special skills and abilities to relocate to the country effortlessly. Immigration to Canada is not a tough task, as the hurdles and pitfalls involved in its new program are very simple when compared to other immigration systems of other countries. All the above-mentioned migration programs come under the Canada Skilled Immigration. Federal Skilled Worker Program: This program is for skilled workers whose applications are assessed based on candidate’s skills, abilities, education, experience and much more to qualify for permanent residency in the country. First and foremost, he or she has to create the online express entry profile and has to meet the selection criteria of 100 points to a rank top in the pool. Federal skilled trades program: Individuals willing to become the permanent resident of the country based on being eligible for the skilled trade program can apply for it. While applying, one should remember that it is a quota-based system that accepts only a limited application of 3000 in a year. This program is open to individuals who possess relevant qualifications and work experience of at least two years, before their application and arranged a job in the province. Canadian experience class: This category is for the country’s temporary overseas workers who would like to settle in the country permanently. Individuals applying to this program must submit the proof of technical or professional work experience in Canada within 3years. 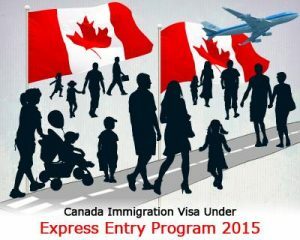 All the individuals can apply to the above mentioned three programs through express entry and applicants who meet the criteria can easily get into the express entry pool. It’s that new system of immigrate gives opportunity to a physician to move in Canada?